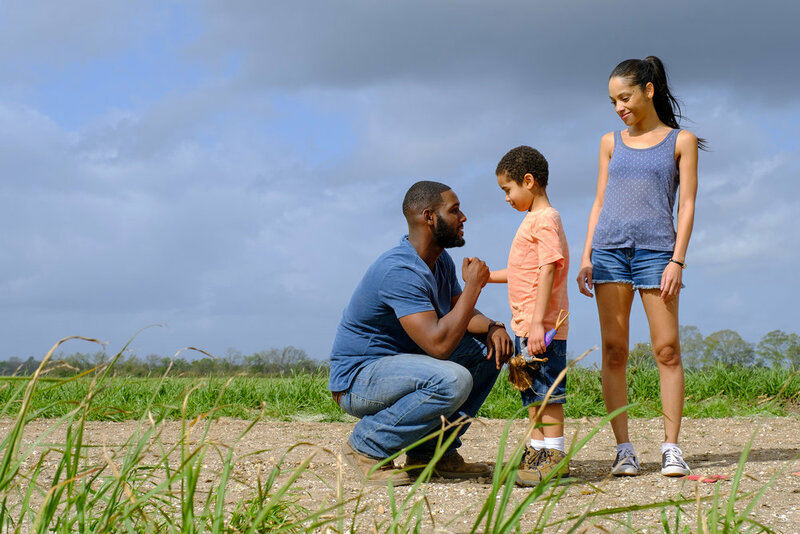 Few image released from the second season of Queen Sugar Season 2 which starts on Own on June 20, 2017. What a great cast and crew to work with! Rutina Wesley. Photo by Alfonso Bresciani ©2017 Warner Bros. Entertainment Inc.
Kofi Siriboe, Ethan Hutchison and Bianca Lawson. Photo by Alfonso Bresciani ©2017 Warner Bros. Entertainment Inc.
Aurora Guerrero, left, directing Dawn-Lyen Gardner. Photo by Alfonso Bresciani ©2017 Warner Bros. Entertainment Inc.